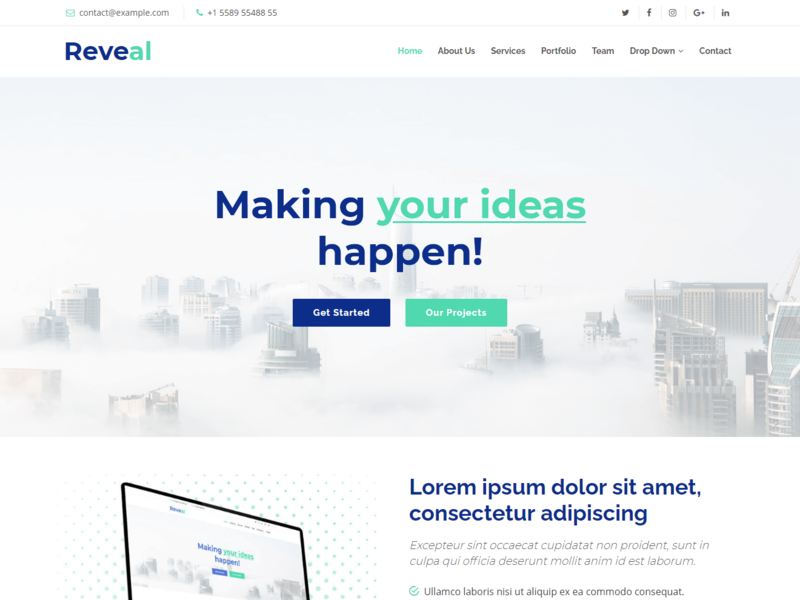 Reveal is a creative business Bootstrap template. It’s best suitable for businesses, company and corporate related websites. Reveal follows the latest trends and modern design ideas in the webdesign industry. Build your elegant and professional website with using the Reveal website template. The theme can also be used for creative individuals, agencies, consultancy firms, startup organizations or anyone who wants a quick presence on the web. Design it with Reveal free website template an intuitive, up-to-date and elegant look to your future online presence! The Reveal bootstrap template is built with the latest version of Bootstrap 4 and it’s a new addition to our Bootstrap 4 templates collection. We follow the section based code organization in this template. It allows you to easily navigate and read the clean and well structured code.